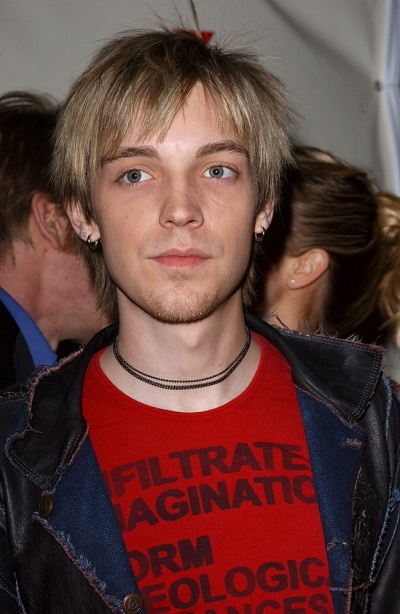 Alex Band is an American singer, songwriter, musician, record producer, and actor. He is known as the singer for the band The Calling. Alex is the son of Meda (Robertson) and film director, writer, and producer Charles Band (Charles Robert Band), and grandson of director and producer Albert Band. Alex is married to Shayna Weber, with whom he has a son. Alex’s paternal grandfather is Albert A. Band (the son of Max Band and Berta/Bertha Finkelstein). Albert was born in Paris, France. Max was born in Naumiestis, Lithuania, the son of Abraham K. Band and Anna Tumpowsky, who were Jewish. Berta was a Russian Jew, and was the daughter of Chaim Finklestein. Albert was also credited under the name Alfredo Antonini, a fake stage name. Alex’s paternal grandmother was Jacquelyn Lois Richardson (the daughter of Maurice V. Richardson and Laura L.). Jacquelyn was born in Oklahoma. Maurice was born in Illinois, to Illinois-born parents. Laura was born in Kansas, to Kansas-born parents. Laura’s maiden name is listed as Zaffino on a marriage record transcription, but this appears to be a typo. Jacquelyn was buried in a Jewish cemetery, so it is likely that she was either born Jewish or converted to Judaism. His grandpa was also credited as “Alfredo Antonini” but he was Jewish, my mistake.